As one of the most referred and trusted DNA collection center chains in India, DDC Laboratories India has its presence spread all over India. 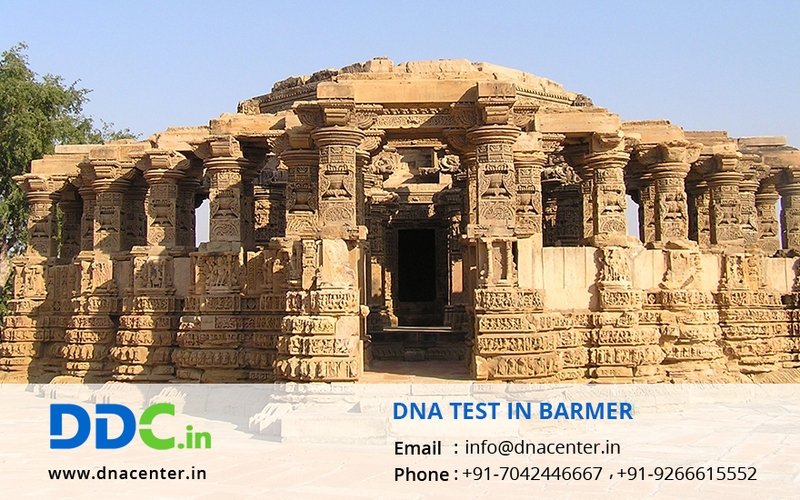 DNA Test in Barmer Rajasthan can be done at DDC Laboratories India. DNA testing is undertaken for peace of mind, immigration, infidelity and many other causes. DNA tests also bring you closer to your past and helps when you take important decisions like adoption. Crime cases are solved with ease and are of great help when it comes to identification of dead bodies. At, DDC Laboratories India, there are various configurations of Paternal Lineage tests available depending upon the availability and willingness of your relatives, parents, Grandparents, etc. and our experts suggest the most suitable, cost ­effective and accurate tests for your particular requirements. We also undertake regular education sessions for our clients who want to know about the possibilities of modern DNA testing techniques. Call us at: +91 7533008488 or write to us anytime and one of our representatives shall be happy to guide you while maintaining the confidentiality of your case. For any type of DNA test in Barmer Rajasthan, please fill the below form and our executive will contact you.